Pokémon Go has a new feature in the works utilizing the AR+ capabilities of smartphones. 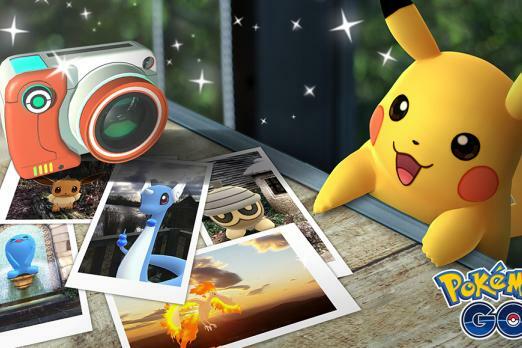 Called Snapshot Mode, the feature allows players to take AR-enabled photographs of any captured Pokémon. You can take multiple photos at once, so do not worry if your first shot isn’t perfect. All photos are saved to your phone automatically. It should be noted you can only take photos of Pokémon in your collection, meaning you can’t take a picture of a Pokémon you haven’t caught yet. This mode is great for those PokéMasters out there that want to share some of the sweet Pokémon they have caught. Did you evolve a shiny Blastoise with sunglasses from the Squirtle event? Or maybe you have an Alolan Golem? Even if you have a favorite Pikachu you love, now’s the time to show all of those off. Developer Niantic has encouraged players to share their photos on social media and use the #GOsnapshot hashtag when posting. So when is Snapshot mode coming to Pokémon Go? We aren’t exactly sure. The announcement post on the Niantic website only mentions the feature will “arrive soon.” It’s likely we’ll see the Snapshot mode update release by the end of the month, but I wouldn’t be surprised to see it even sooner than that. So what do you think? Are you excited to take pictures of your favorite Pokémon in Pokémon Go? What other features would you like to see added to the game? Let us know your thoughts in the comments section below.